While some of us have visions of The Punisher still dancing in our heads from Daredevil Season 2, Marvel and Netflix are currently making progress on the freshman season of Iron Fist, which will likely also offer up fight sequences that stay with us long after the binge-watch is complete. Now we know who will be playing two more comic characters central to the tale of the titular martial artist, as The Following’s Jessica Stroup and Banshee’s Tom Pelphrey have been cast as siblings Joy and Ward Meachum, respectively. Iron Fist centers on Danny Rand (played by Game of Thrones’ Finn Jones), a New York City native who left his life behind after his father was murdered by one Harold Meachum, set to be played by David Wenham. But when Rand returns, Harold’s children have just as much to be worried about as their criminal father. Joy Meachum, who first appeared on the page in 1974, has spent many years turning Rand Enterprises, the business started by Danny’s father, into one of the world’s most powerful companies. As you might imagine, things get incredibly difficult for her when Danny returns to New York seeking not only justice for his fallen parent, but also his rightful place within the company. Ward Meachum pretty much has the same storyline going for him, according to Marvel, though we can expect the TV show to make these characters distinctive enough. Interestingly, Ward was actually Harold’s brother and Joy’s uncle in the comics, but it was apparently easier to streamline this familial lineage for the small screen. Siblings are understandably more deviously likeminded than uncle/niece combos. Iron Fist still has some casting to go, but many of the lead roles have been filled already, and somewhat surprisingly without any marquee names. The only other main character that’s been cast is Danny’s badass ally Colleen Wing, to be played by Game of Thrones’ Jessica Henwick. We’re also hoping that Mike Colter’s Luke Cage will also play a sizeable role, given the comic partnership between his unbreakable hero and Iron Fist. Most recognizable in recent years for playing Kevin Bacon’s niece on The Following, Jessica Stroup also played Erin Silver for many years on 90210, and has been on other shows such as Reaper, Family Guy, and Grey’s Anatomy. 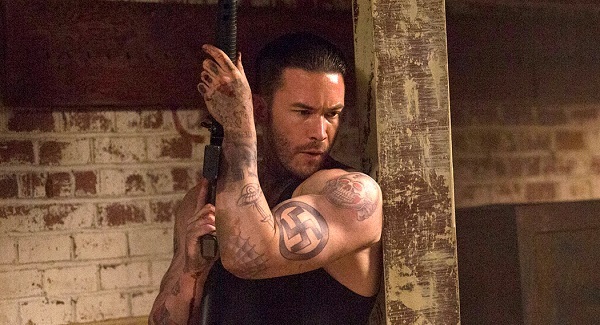 Tom Pelphrey, meanwhile, has been playing Kurt Bunker on Banshee since the beginning of Season 3, and he’s had extended stints on soap operas Guiding Light and As the World Turns. He was also in a Following episode once. It’s unclear when Iron Fist will hit Netflix’s ever-growing schedule of releases, but expect it at some point later this year or in early 2017. In the meantime, check out everything that has a premiere date coming soon with our summer TV schedule.